WARNING: Use of video content is at own risk. Karate chopping wood with bare hands can damage bones or cause bruising. 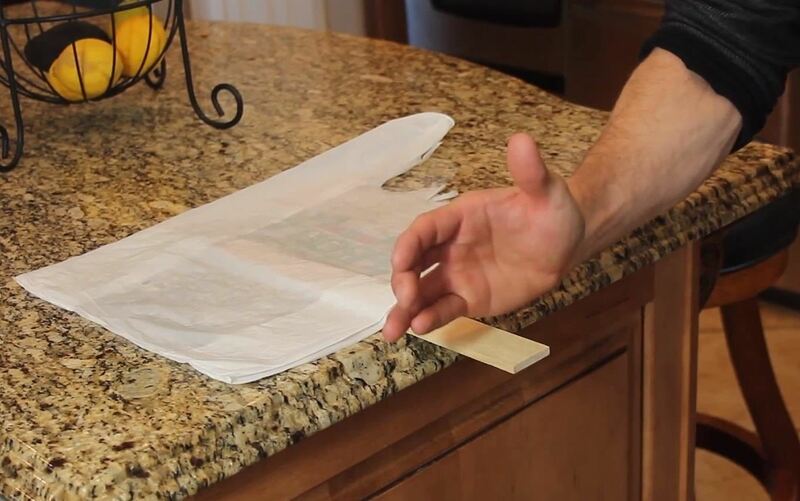 If the plastic bag or plastic wrap does not make an air-tight seal with the surface of the counter, the stick may fly out in a random direction with dangerous velocity.